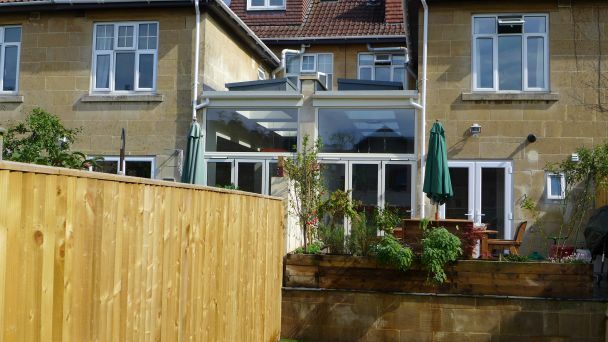 As a specialist property renovation company in Bath, we remodel interiors, design extensions, and refurbish homes. 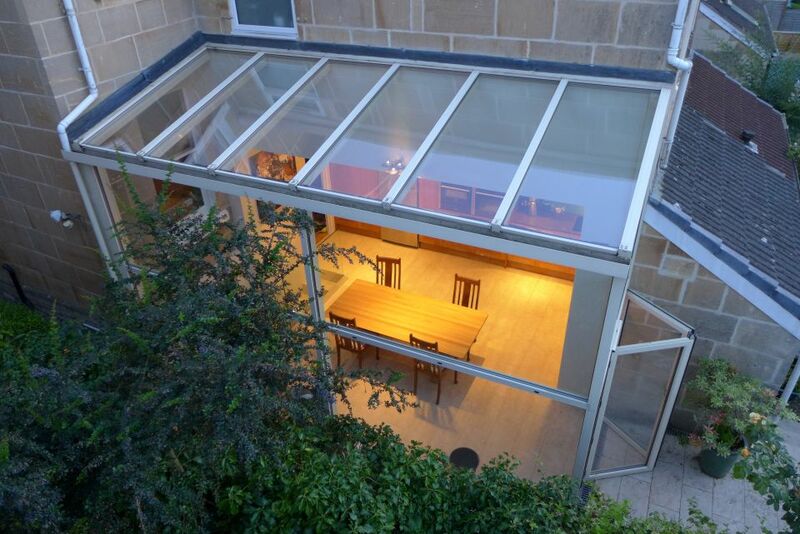 From initial concepts through to completion, you only need to deal with us. 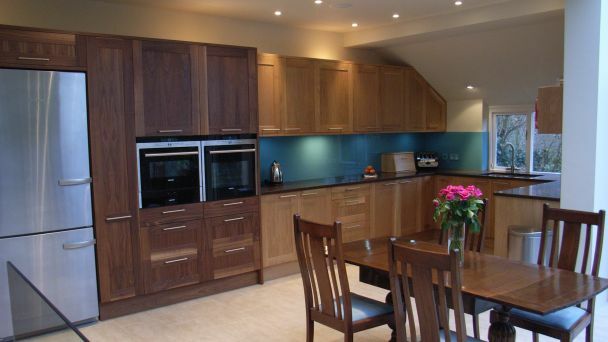 Whether you have a single room or a whole house to renovate, we offer the complete service from design to delivery. 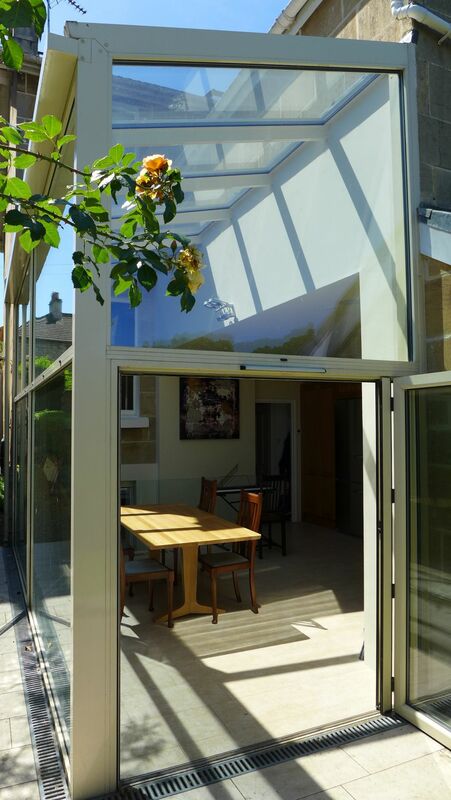 If you’d like to discuss your project, please call 07711 857670, or use our contact page. First we help you to decide what you want. Then we produce designs and complete the work. For more extensive projects, we submit planning applications and produce building control drawings. We write a technical specification for details not on the drawings and, with a statement of work, we run a competitive tender. 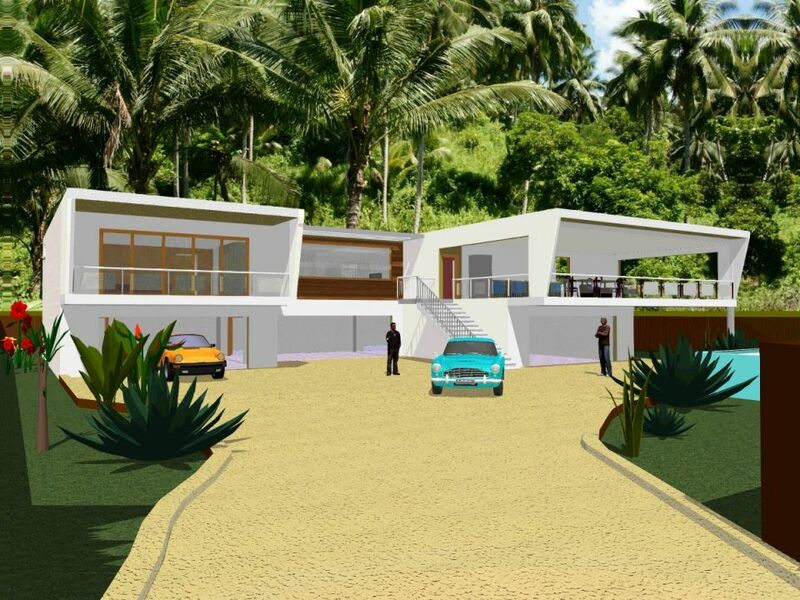 With the contractor selected, we arrange the contract, facilitate the project, and oversee progress against schedule. 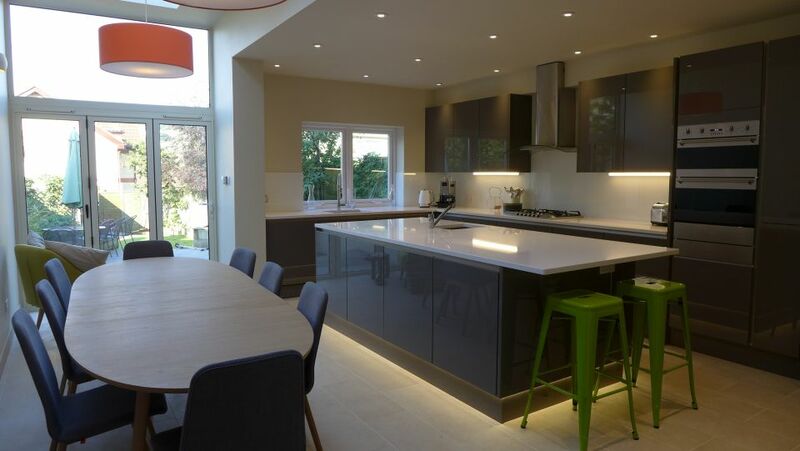 To see the full range of our services we would invite you to read this home renovation case study. Beware of professional practices that create beautiful designs which turn out to be unaffordable. Why pay an organisation to design something you can’t afford? We show options with different prices, but you decide how best to spend your money. 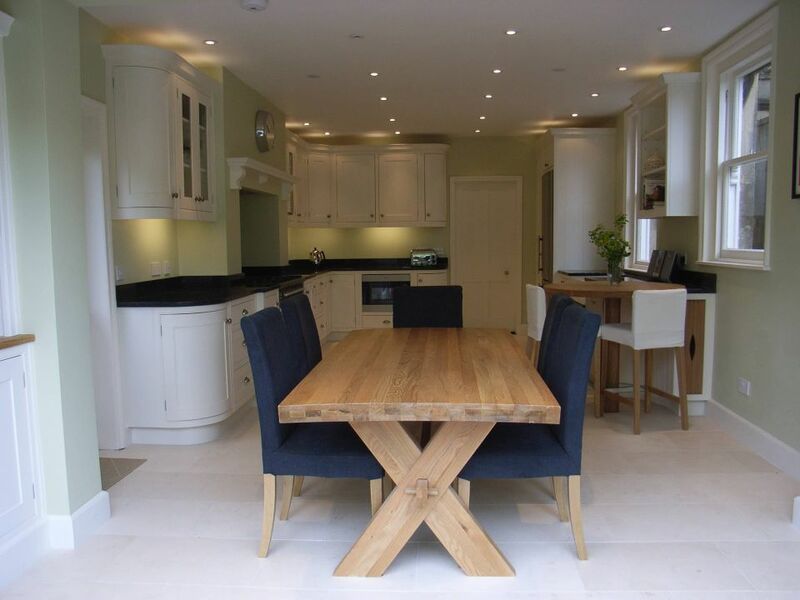 A kitchen shop on the high street will quote for a new kitchen; but what about the lighting, heating, flooring, decoration, or any building work? Our job is to help you understand the cost of the full project. Early on, we assess prices against concepts to see which will suit your needs. We then mature the preferred option, validating it continuously against the budget. Because the cost of building work takes many clients by surprise, we’ve published a separate page on the total cost of home renovation. This should help you to set a more realistic budget. 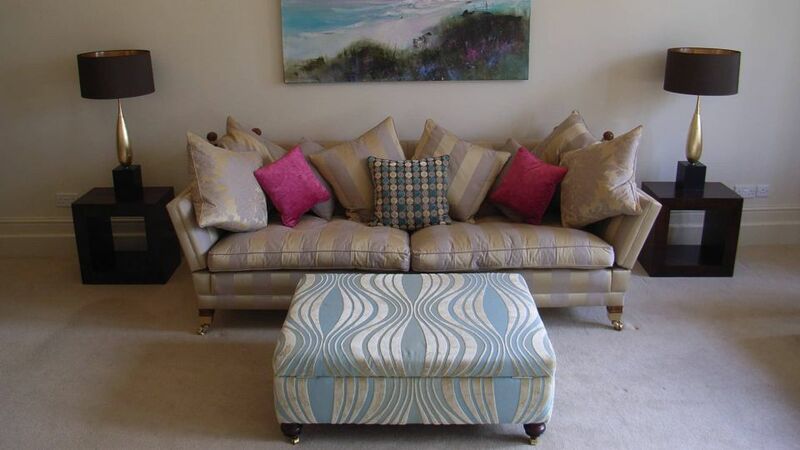 We work with local building contractors to carry out the work, and supply and install fixtures and fittings including soft furnishings. If any bespoke storage or furniture is required, we design and supply that too. 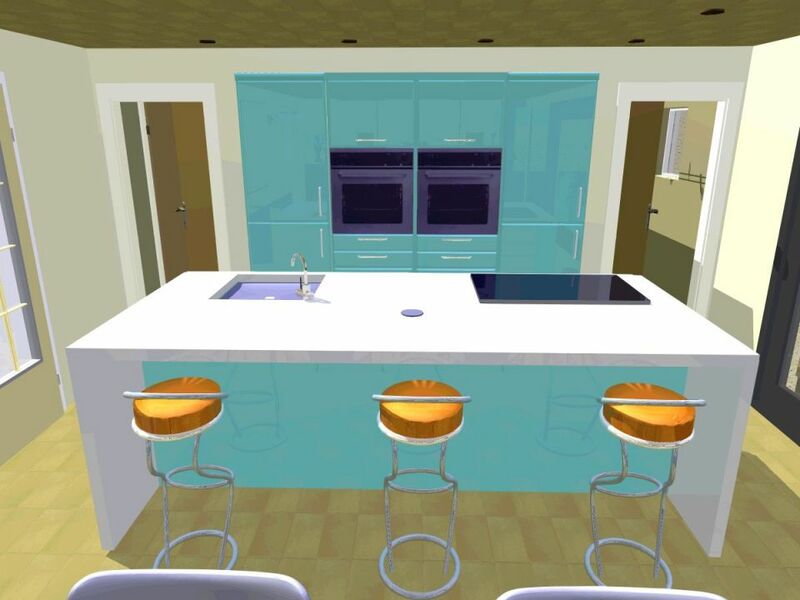 We produce 3D visuals to help our clients to see what their new home will look and feel like; something they truly value before committing to a particular design. It helps them to confirm what they want (or don’t want), and to communicate requirements more effectively. Below are some examples, and you can read more in our piece on 3D architecture. Above is a home we designed for a client in Thailand. With our scale 3D models we were able to send him interior and exterior views, and zoom in on specific rooms and features from all angles. This particular client is using our visuals to obtain quotations for the work. 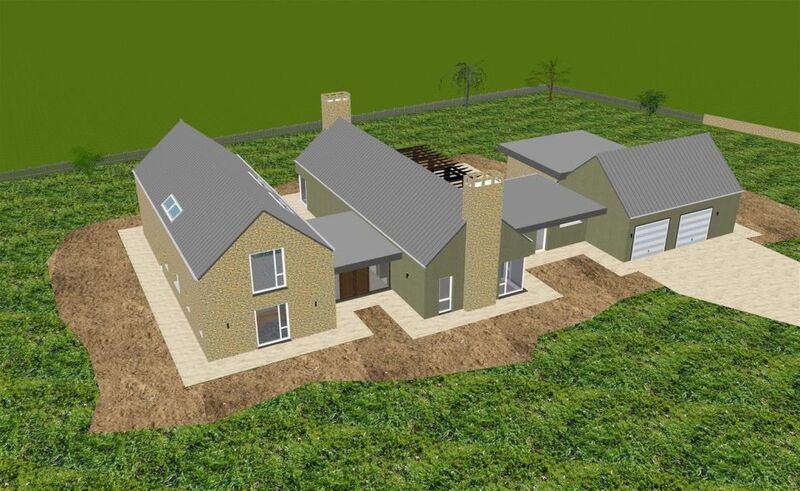 Above is our design for a pair of neighbouring extensions. Below is the finished result for this joint property renovation. 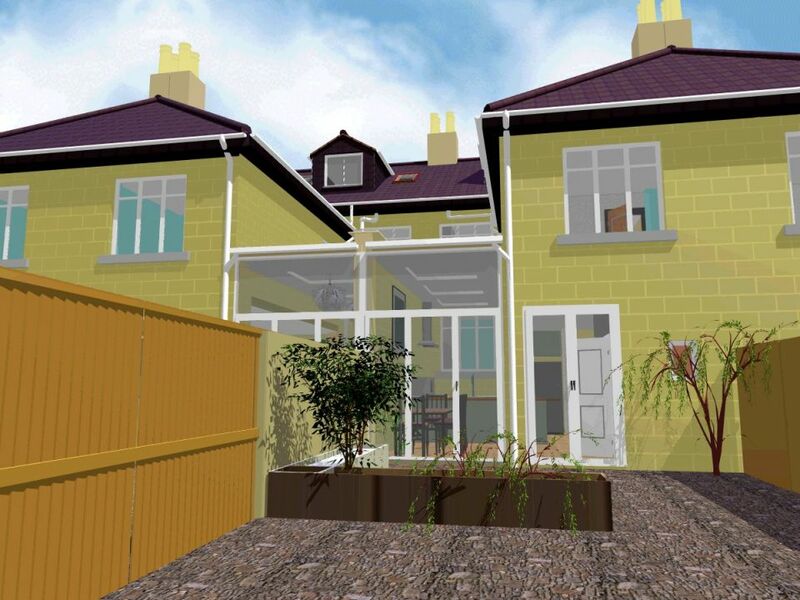 Our 3D models provide perspective views of each proposed property renovation, or new build, as well as floors and single rooms. 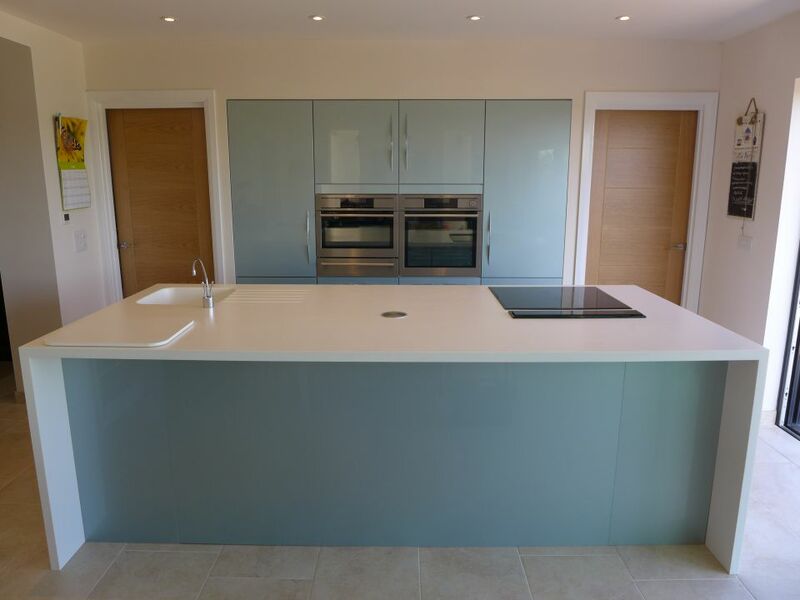 and here is the finished kitchen (note the reflective gloss finish reproduced in the visual above). We offer further advice for successful property renovation in our various guides; here are some links. 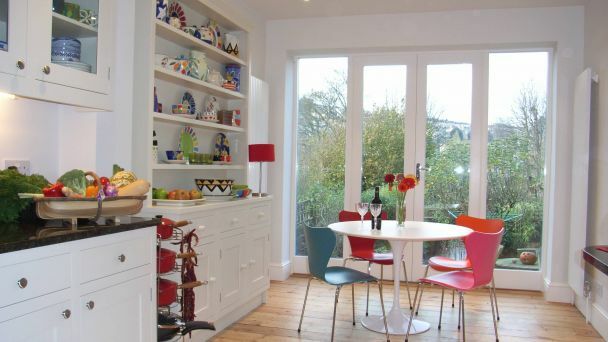 How to Renovate a Property – Preparing for a home renovation and a guide on services offered by various professionals. How Much to Invest in a Property – Considerations on the amount of money you might consider spending on home improvements. Home Design – If you are struggling to visualise your new home, this shows how basic 3D images can help without costing the earth. If you’d like to discuss your ideas in more detail, please get in touch using the contact information on this page.